Our Lady of Mount Carmel is the title given to the Blessed Virgin Mary, in her role as patroness of the Carmelite Order. The first Carmelites were Christian hermits living on Mount Carmel in the Holy Land during the late 12th and early to mid 13th centuries. They built a chapel in the midst of their hermitages which they dedicated to the Blessed Virgin, whom they conceived of in chivalric terms as the "Lady of the place." Linking their independence to their military might, Chileans celebrate their Armed Forces Day the day after Independence Day. It commemorates the military victories over the Spanish forces, led in part by the national hero, Bernardo O'Higgins, Liberator de Chile with assistance from Jose de San Martin. Reformation Day is a religious holiday celebrated on October 31 in remembrance of the Reformation, particularly by Lutheran and some Reformed church communities. It is a civic holiday in Slovenia (since the Reformation contributed to its cultural development profoundly, although Slovenes are mainly Roman Catholics) and in the German states of Brandenburg, Mecklenburg-Vorpommern, Saxony, Saxony-Anhalt, and Thuringia. 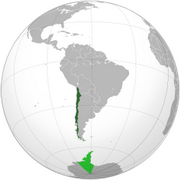 It is also a national holiday in Chile since 2008. Most churches transfer the festival, so that it falls on the Sunday (called Reformation Sunday) on or before October 31 and transfer All Saints' Day to the Sunday on or after November 1.